Miriah Hetherington… shaping those stories that percolate in my head. This photo has nothing at all to do with my blog post! 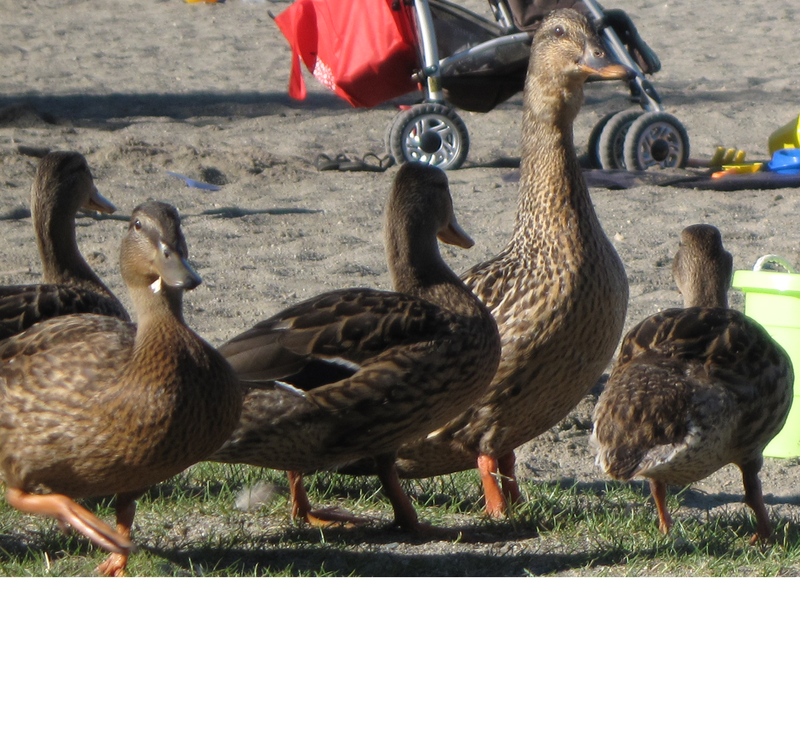 I took the kids to Idylwood Park last week, and this family of ducks were going around stealing food. The crowds of people didn’t bother them at all. Yesterday I got an email from the Editor in Chief of Penumbra eMag. My “Dream Catcher” story will be in the September Native American folklore issue!!! I must admit that I was sort of expecting to hear from Penumbra. I had been watching acceptance and rejection reports on Duotrope, so I knew the decisions would be made around mid-July about what stories would be used for the September issue. At the end of April I got a “passed on to the next level” email, and in mid-June I got a “final round of consideration” email. So I was looking forward to a personal rejection, and I already had the next market-for-submission picked out. When that email arrived in my inbox yesterday, I had to read through it a couple of times before it sunk in that I really did get an acceptance. I found my husband watching TV and told him. I went back to my computer to read the email again to make sure it was still there. I phoned my mother. I emailed my sister and a close friend. After about an hour, I still hadn’t gotten another email telling me it was all a mistake, so I posted an announcement on my facebook page. I also agonized for about twenty minutes over whether or not it was appropriate to reply to the email acceptance with a thank you. In my speculative fiction critique group, we have discussed responding to a rejection several times. (Btw, the conventional wisdom I have gathered is that you do not respond to a rejection. Editors are usually far too busy to deal with even a “thank you for your consideration” email. Some emag website submission guidelines even ask writers not to.) But, no one ever talked about how to respond to an acceptance! In the end, I went with my gut feeling and I did send a thank you email, to which the EIC responded graciously. This entry was posted in Writing Path and tagged edit, publish, writing. Bookmark the permalink.